MetroParks and The Ohio Horseman's Council Offer New Program "Horse Daze"
The Butler County Chapter of the Ohio Horseman’s Council Inc. and MetroParks have partnered to present a unique FREE event called Horse Daze! Click here for the Horse Daze Flyer! On Saturday, October 20, 2012 Sebald Park is the place to be to enjoy all the fun and activities related to horses. 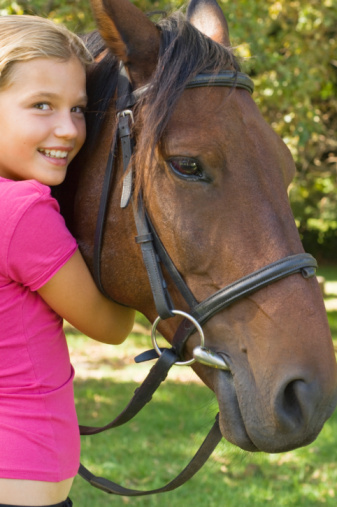 If you or your children want to experience the joy of horses up close, this is your opportunity! The day will include horse rides, grooming, tack and farrier demonstrations, tractor drawn hay rides, fun and games, music, food, raffles, and door prizes. Dress your child in his or her favorite cowboy or cowgirl costume and have their photo taken on a horse. Meet the Butler County Mounted Patrol and learn about their program. Sebald Park offers approximately ten miles of the only public horse trails in Butler County. On Saturday, October 27, the Butler County Chapter of the Ohio Horseman’s Council will offer a guided trail ride at Sebald Park for riders interested in learning the layout of the trails. Sign up at the information booth during Horse Daze. The trails were created and, are maintained by volunteer efforts of the Ohio Horseman’s Council www.butlercountyohc.com . All proceeds from food sales, raffles and voluntary donations which will be accepted at the event will be added to an Ohio Horseman’s Council fund for construction of a shelter at Sebald Park for horses and riders who use the trails. All MetroParks require a motor vehicle permit to enter, which is free to all Butler County residents. Not a resident of Butler County? Daily motor vehicle permits are available for $5.00 or $10 for the entire year. For more information about MetroParks or obtaining your motor vehicle permit contact www.yourmetroparks.net or call 513-867-5835.